The Flash raced back onto The CW with new episodes on Tuesday. Barry Allen (Grant Gustin) faces the alternate timeline in which he now lives. 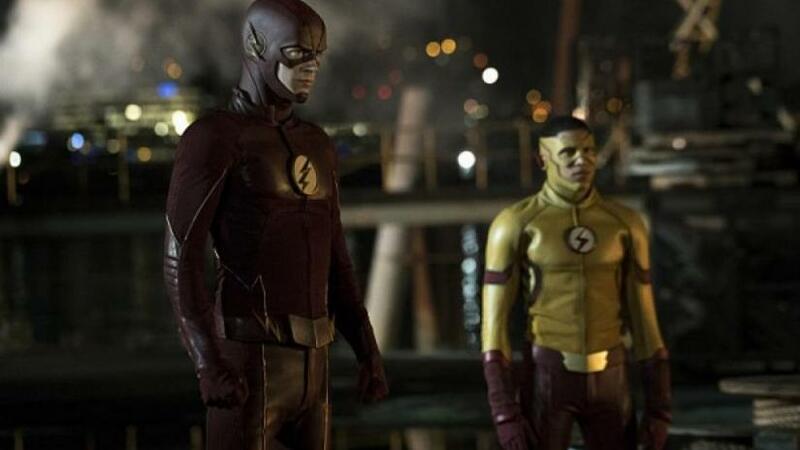 In this new reality Barry’s mother is alive and Wally West (Keiynan Lonsdale) is protecting Central City from The Rival (Todd Lasance) as Kid Flash. Joe West (Jesse L. Martin) is no longer the dependable cop. He’s now a drunk in danger of being fired. It’s a joy watching this reality’s Cisco (Carlos Valdes) as the world’s richest man. As different as some things may be, some things will always be the same. Specifically, the obvious connection Barry and Iris (Candice Patton) share even though their relationship arc continues to be stop-and-start. Wally doesn’t like being called Kid Flash and isn’t accustomed to working with other heroes. He ignores Barry’s strategy for defeating The Rival and ends up gravely injured. Unfortunately for Barry, the more he uses his speed the faster he loses his memories of his old life. Thawne (Matt Letscher) tells Barry that he will have to let him kill Barry’s mother, but Barry refuses to accept that assertion until he accepts saving his mother changed too much. Thawne forces Barry to ask him to kill his mother and after her death Barry believes everything is back to normal. Only it isn’t. What were your First Impressions of The Flash’s “Flashpoint” premiere? Did it live up to expectations? Were you disappointed? Are you intrigued about how Berlanti & Co will execute the “Flashpoint” adaptation from the comics?